Posted October 3, 2017 at 12:54 pm & filed under News. Autumn offers the perfect backdrop to darker ales, brimming with toasted, malty flavours and a weightier proposition to contrast with the light pilsners and pale ales that may have become your summer staples. For the new season, its back to black as we praise the complexities of the great British porter. In many drinking circles, you’ll undoubtedly find opinions on the subject of porter positively Marmite-esque. The average modern British palate, acclimatised to cold continental lagers or tried and true best bitter seems to be tested by the intense smoky, chocolate and coffee flavours of what was once our most common beer. Porter was born in the drinking establishments of 18th century London when publicans of the time would often create their own signature brews by blending pale ales with darker ales to offer a drink much loved by the hardy porters and dockers of the Thames from whom it is claimed that porter obtained its name. When the local breweries started to brew ales that styled themselves on the porter on a larger scale, mass appeal followed and Porter along with its sibling brew variety Stout, enjoyed a place at the heart of the nation’s drinking habits until the Second World War. The sweet, smoky nature of porter seems to evoke a long lost Victorian London of dark, misty nights and shadows cast by gaslight. 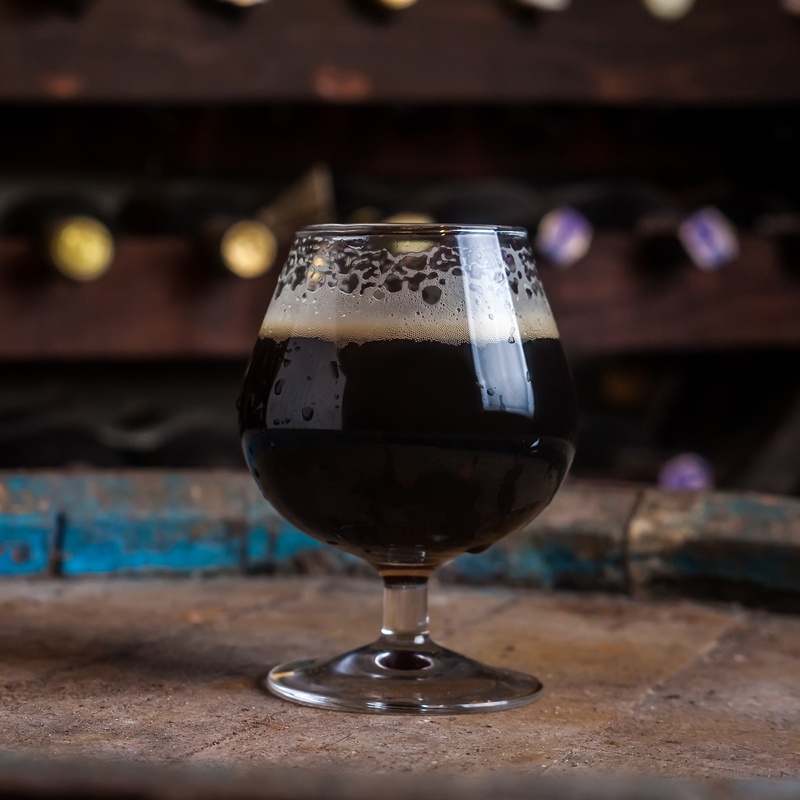 The lack of definition and blurring of boundaries between what constitutes a porter and how it differs from stout means that in modern times, we leave it to the discretion of the brewery to advise us on their latest creation. The styles both defy attempts at separation and since everyone that enjoys beer is likely to weigh in with a unique take on the matter, we’re happy to accept ambiguity and take as we find. It could be noted that porters tend to be sweeter and lighter than stout (the term stout simply from being a stronger variant of porter) but anyone who has drunk a milk stout will know that stout can also have sweeter notes. There are three designations for porter (as opposed to six for stout); “Brown”, “Robust” and “Baltic” that originates in Latvia, Estonia, Lithuania, Finland and Poland. The 1800’s saw the first use of the term stout when used to describe slightly stronger porters or “stout porters” which gradually led to the word porter being dropped in common parlance. Both porter and stout can be top or bottom fermented and this is by no means a defining characteristic. Ultimately, interchangeable terminology has done nothing to harm porter’s reputation as a complex brew. The character of porter can be attributed to the malt used in its manufacture. In the late 1700’s Brown Malt, that which has been kilned at higher temperatures, was used in the mash and remains a favourite today, while in 1817, Daniel Wheeler was awarded a patent for a process that roasted the malt to such a degree that it gave the brew its almost black colour as well as imparting an “ashy” flavour. It is still occasionally referred to as ‘Patent’ Black Malt. Other porters may utilise Chocolate Malt that provides even more complex flavours and aromas that define the style; coffee, cocoa, and caramel. Metalman Brewing Co. from Waterford produce beautifully crafted beer and none more outstanding than their Heatsink Smoked Chilli Porter. With sweetness giving way to warmth generated from cayenne pepper used in the kettle, this is one to sip on colder evenings. Five Points Brewing Company offer their tribute to a traditional London beverage with their Railway Porter featuring Kentish Golding hops and complex coffee and chocolate aromas – an essential cask to secure for an authentic porter treat – while Bedlam Brewery’s (simply named) Porter has malt in abundance, a sweet and creamy aroma and a roasted flavour that should be on every publicans wish list. Their taphouse, The Bull at Ditchling, should be a definite place of pilgrimage for beer lovers as they picked up the 2016 Pub of the Year Award. Understanding the various yeast strains and different malts may take years to master but busy publicans needn’t worry about serving the perfect pint, regardless of the complexity of the beer. Thanks to Beer Piper’s unique line cleaning technology you can switch from a porter to a golden ale without worry that flavours will be tainted. Take a free trial today and ensure your lines are at their best, whatever you serve.